Welcome to South Pacific gem, Huahine in French Polynesia. 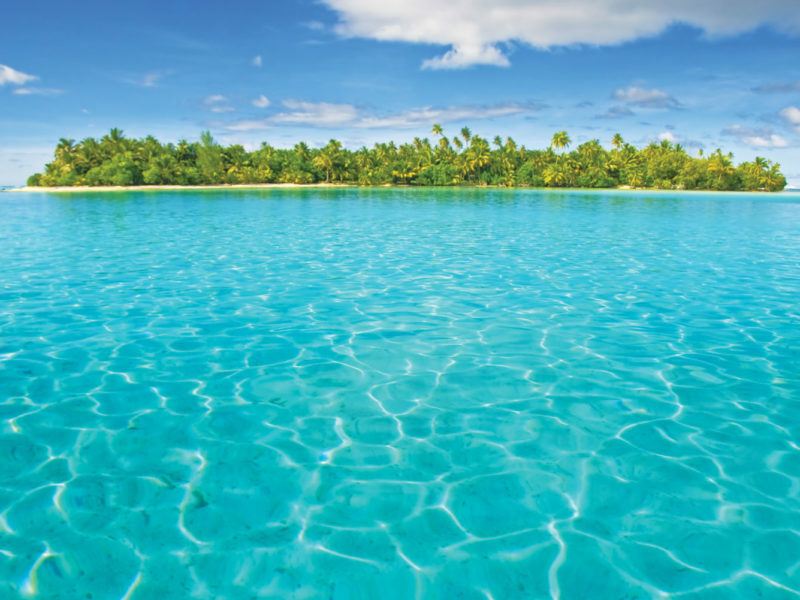 Huahine is Bora Bora without the tourists… or the $2000-per-night hotel tariffs. Most visitors stopover here on flights to Bora Bora from Papeete; when I visited I was the only tourist who got off the plane. Huahine has one of the smallest populations of French Polynesia’s Society Islands and very little development; although there are several high-end accommodation options. It is the kind of paradise you imagine in Bora Bora: massive jungle-covered mountains roll straight down onto dozens of empty white beaches and a lagoon surrounded entirely by coral reef. Although it is known as the quiet island, there’s still plenty to do. Hire a moped or jeep and explore Huahine’s two islands, Huahine Nui (Big Huahine) and Iti (Little Huahine), which are connected by a bridge. There’s evidence of Huahine’s 1500-year-history throughout the island. There’s Polynesian temples by the roadside – even human skulls if you look hard enough (I found one). There are half-day tours by 4WD, canoe cruises, kayak tours, sailing charters and some of Polynesia’s best surf breaks. There are also tiny villages with rustic bars serving ice-cold beer and fish straight off the fishing boats. Very little English is spoken so be prepared for isolation if your high school French is rusty. Canter a horse along a deserted tropical beach. La Petite Ferme offer two-hour and full-day rides, call +689 6882 98. Avoid summer when heavy rain is prevalent; any time between April and November is best.